Floyd Mayweather recorded a brutal first round stoppage win today in Tokyo, Japan in a boxing exhibition that was meant to be a spar most thought going into it. But in the end, it was something that turned out to be a one way whopping in favor of Mayweather inside the very first round. 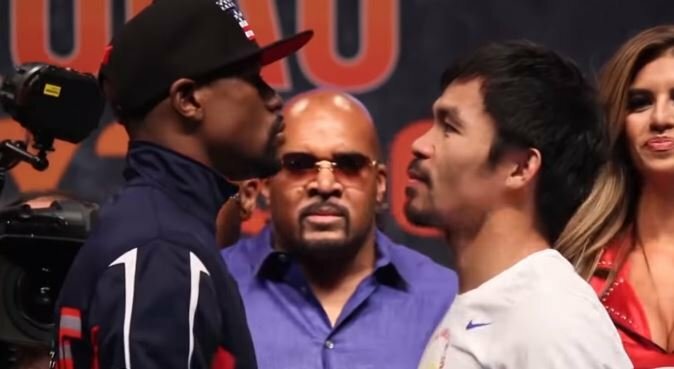 Before the fight Mayweather reaffirmed his desire to stay retired which suggested that a Pacquiao rematch as first thought for next year is now off the table. Don’t be so sure of that however. A not so subtle jab by the PacMan at the fact Mayweather fought a much smaller foe today in Japan who was considerably shorter and lighter than Floyd. Not to mention the fact he wasn’t even a boxer and was less than half Mayweather’s age at the age of 20 years old. Don’t be surprised if we see this Mayweather vs Pacquiao rematch next May in Las Vegas — or even next September.